I know that there are entire web sites devoted to "Engrish" (strange translations of various Asian languages into English), and I admit we had several laughs at some of them...but in the end, they're still way better than anything I could produce translating English into Chinese...! So I'm more apt to try and (a) learn a little Chinese, and (b) try and figure out what this was supposed to say... 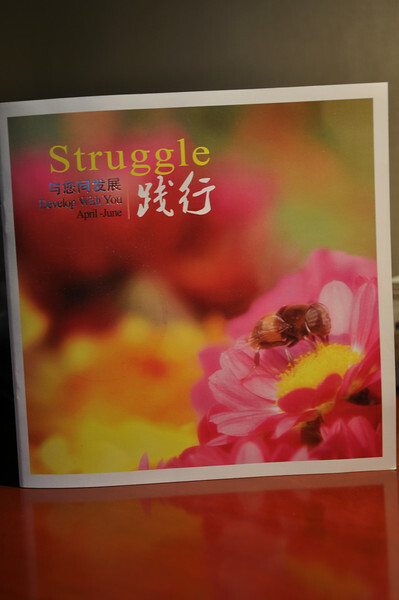 This was the cover of the room service menu for our room at the Xinjiang Hotel. Matt, as he is wont to do, made this into a song lyric.